I first discovered Japanese artist Masayoshi Yoshino's work via Instagram, he was customizing jackets, shoes, hats and jeans. I was particularly drawn to his use of skulls made of brass, silver and copper, on leather and denim. This level of custom work was like nothing I'd encountered before. Oh and he also makes rings, cufflinks, bracelets, belt buckles, key chains and a host of other items. With regards to his credentials Masayoshi studied at the Whitireia community polytechnic in Wellington, New Zealand where he gained a certificate in Visual Art and a diploma in Jewellery Design. 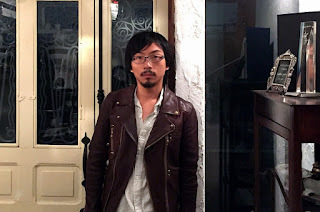 After returning to Japan he attended the Itami College of Jewellery and in 2013 he started working at Gallery Kureha in Osaka alongside a number of other artists. 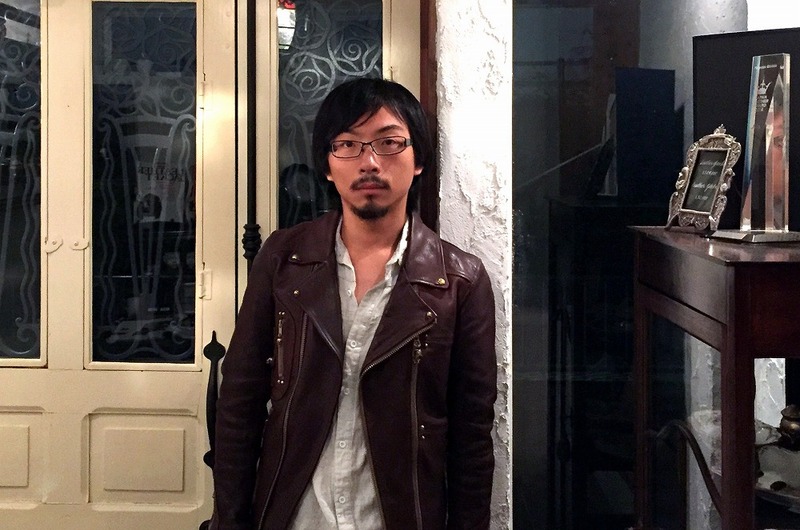 Recently Masayoshi received an award in the 2014 Japan Leather Awards for a leather jacket he designed and it's also worth mentioning that last year he started working with Robert Warner, 'legendary leather designer for rock stars since 1969'. I needed to know more and so reached out to Mr. Yoshino and asked him to tell me in his words more about how he got into jewellery design, and an excerpt can be read below. "At the age of fifteen I was awed by the artfully created silver jewellery. Jewellery was supposed to be free and unconstrained, it should be able to take any form it wants. I was moved by the unfettered design. It broke my idea of what traditional jewellery was. Soon after this experience I started sculpting. As time passed, I felt held down by the standards and notions of what silver jewellery was supposed to be. I desired to progress and explore my own creativity. Reflecting on my history, I realized that I did not just want to conform to existing techniques or ideas of what should be the standard but a true artist must create his own style and techniques. I aspire to be a true artist; true in the sense that my pieces, expression, and vision is not bonded to any standard, norm, or tradition but the freedom I saw when I saw my first pieces of silver jewellery. This is my personal motif and is the motif of the brand I want to bring to you. I do not recall the exact piece that moved me. It was the overall shapes, designs, and feelings of those pieces that created a deep impression in me. The recreation of this experience is what I wish to bestow on our patrons." This year Masayoshi is collaborating with artists/brands the likes of Monochrome Leather Glove, Madoromi Shoes (another 2014 Japan Leather Award winner), Jack Bag Leather, Jerry Van Amburg and Long Valley River. You can see his latest work via the Gallery Kureha Instagram page, or Skull Lab on Facebook, and you can email hime88matsu@yahoo.co.jp for any and all enquiries. We catch up fairly regularly on Skype and over the past month or so we've discussed a number of topics ranging from relationships to eel fishing to our love of Mexican food. Masayoshi and I have also talked about working on a personal project with a leather jacket, which I will share with you once it's complete. I wish to thank Masayoshi for his time and look forward to continuing our friendship, and possible future projects together.